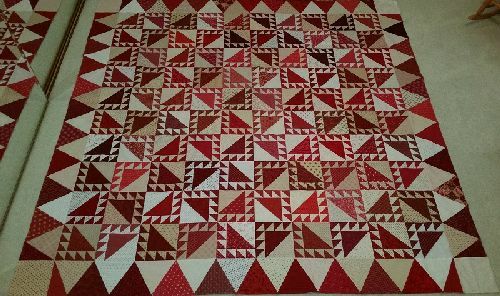 52 Quilts in 52 Weeks: November UFO Parade: Just One More! It's time for the second-to-last UFO Parade of 2015. We've enjoyed some great "finishes" this year, and October was no exception. My October #8 UFO is complete (as are all of the remaining 2015 UFOs). So here's the story on Krystal Kreek. 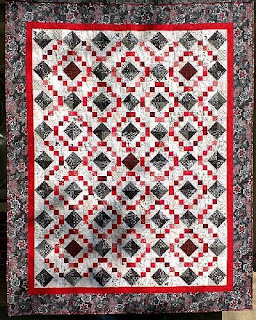 It is a Bonnie Hunter design called Lady of Lake Erie that was published by Quiltmaker Magazine in the May /June 2011 issue. I made mine a smaller version. My sister coined the quilt's name; it is a good one being bright crisp blue fabrics that one could just feel from a rippling creek. Go to Sandi's blog, KwiltnKats, to read more. 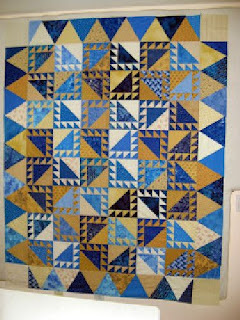 Sandi, that would make a great "A Quilt Block a Day" project! 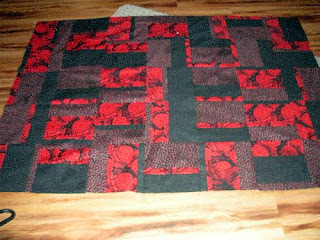 My first finish is a Karen Brow, Java House Quilts, Newly Hatched Quilt. 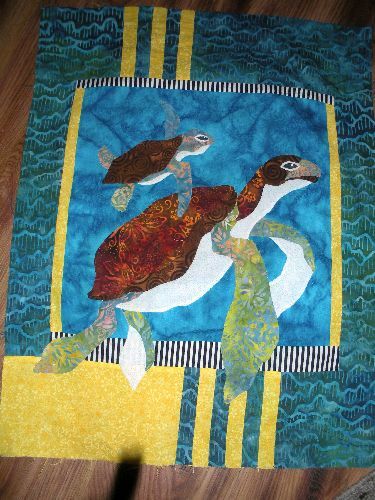 It is a wall quilt and I am giving it to my daughter who has a water theme in her house. Sandi Delman (thank you, thank you, thank you) did the needle-turn applique on the baby and I did freezer-turn applique on the mom. 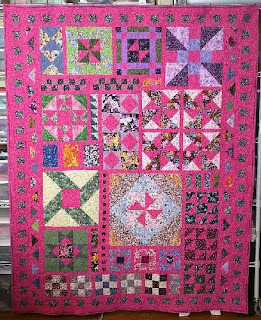 I am really happy with the "finished" little wall quilt. 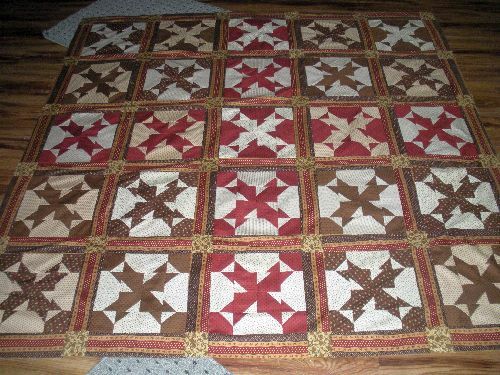 I really have enjoyed the quilt tutorials by Missouri Quilt Company and the quilt photo is of a disappearing Hunter's Star. 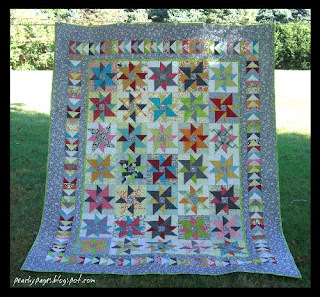 Youtube has a wonderful tutorial on how to make the quilt. 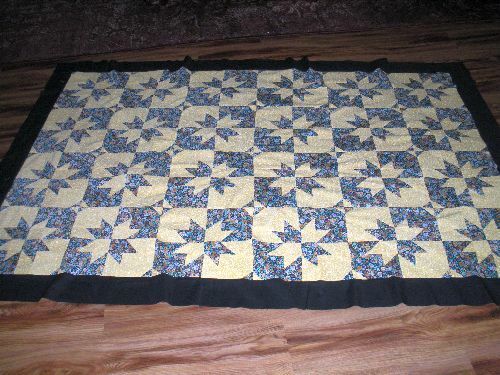 The finished size that I made is 51 x 71.5 - enough to wrap around yourself and tuck under your feet. This top is being donated to Rosie's Calico Cupboard Camp Reach for the Sky (http://www.rosiescalicocupboard.com/). 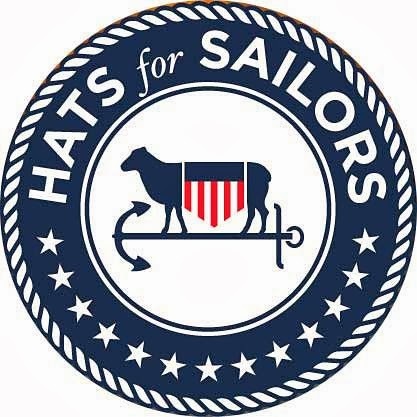 It is an excellent organization!!! Woot! Woot! 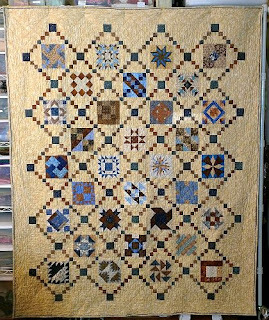 The attached photo is of a quilt I found in Primarily Quilts by Di Ford. 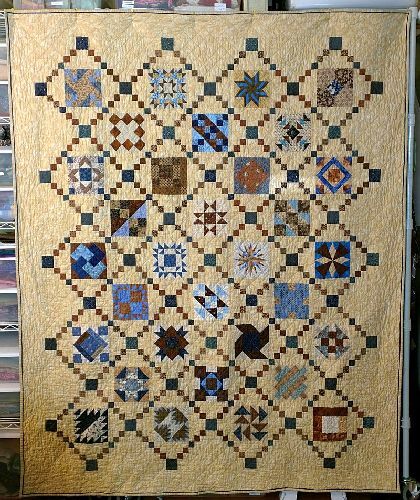 The quilt is called Oak Alley and measures 65 x 65. I enjoyed every moment in making this quilt. 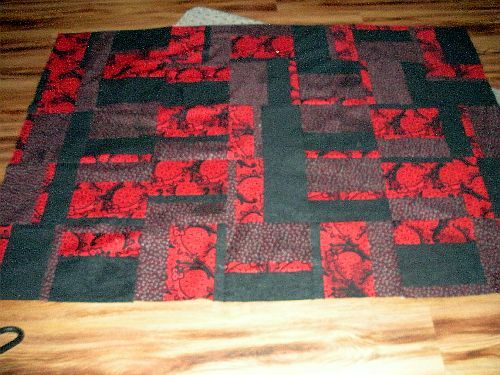 I loved the fabrics, I loved the pattern and I love the way it came together very easily. 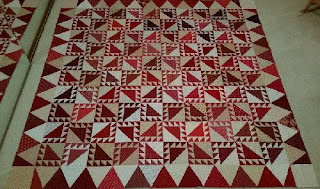 I have marked quite a few other quilts from the Primarily Quilts book that I hope to make in the very near future. This is my third entry this month. I guess you could say I am making up for lost time. Thanks Aunt Marti for all you do. And, if you can believe it, here is finish number four! This will be it for me for the month. My fourth UFO. This is just a fun little quilt I had cut and finally decided to make it into a quilt. This quilt will be donated to Rosie's Calico Cupboard's Camp Reach for the Sky. The finished size is 45 1/2 x 63 1/2. Kerry is also a multiple-finisher this month. Here is Bonnie Hunter's "Lady of Lake Erie" in a different colorway. Now I can't decide which one I like best! Bonnie’s original was made in blue and Cream, I chose to make mine in red and cream. This quilt will be for my mom, once I get the quilting and binding done! The second one is for one of our grandkids and is from a Planes panel. 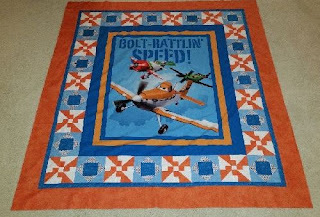 I pieced all the blocks around it. 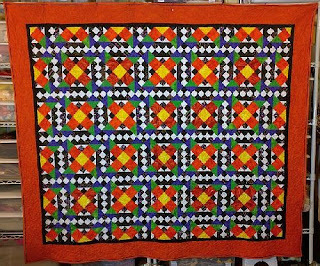 The pattern came from Aretoy Quilt shop and was designed by Julie Calvario. Pam has really outdone herself this month. I love her story! This month there were several finishes. 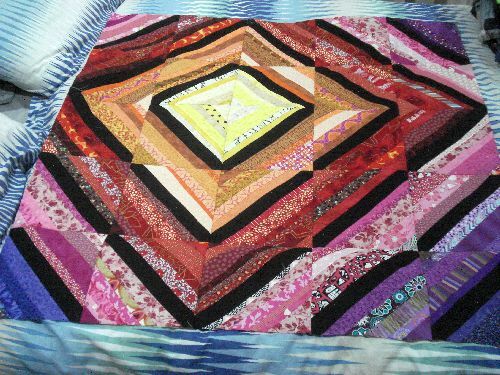 What can I say, mid-August myhusband and I came up my 'Crazy Challenge II" which was to finish 13 quiltbefore the end of the year. As with Crazy Challenge I from several yearsago, the list has expanded. 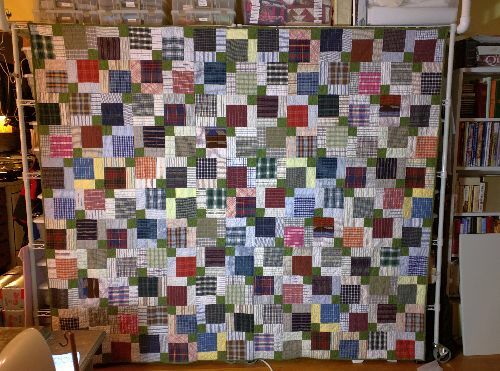 Well, the pic is not the best – but it’s supposed to be wet all day so I just have the quilt pinned to the shelves which always distorts the quilt. This is Orange Crush – the Bonnie Hunter Mystery from 2008. I hope to have a better picture on my blog next week.
. . . got distracted by the World Series. This is the 2nd of the 3 Disappearing 9-Patches I'm making for my nephews. One more to go. Sue writes, "I can't understand where the year is disappearing to!" My sympathies, Sue, I have the same feeling! I'm beginning to think this year will be a write off from here and start over again in the new year, I can't understand where the year is disappearing to! It seems to me that I'm not the only "BOM" addict. Nancy finished this pretty BOM, "Wishes" from Fat Quarter Quilts, She blogs about it at Fabric-Addiction. 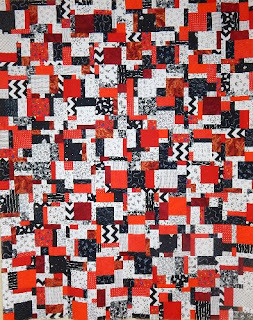 Mary J sent in a fun "Black and White and Red All Over" quilt. My biggest October finish is attached, and I'll blog about it tomorrow. I'm calling it "Black and white and red all over". Remember that old joke? 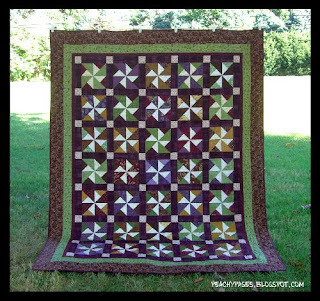 The pattern is "Lemon Pepper" by Madison Cottage Design. I rarely use patterns, but this one was quick and fun! 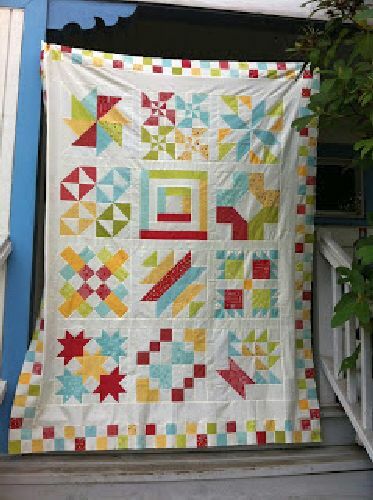 Mary, I have a kit to make that quilt in the original black and white and lemon yellow -- guess I'll add it to the queue for 2016! And another multi-finisher! Heather sent photos of three finishes -- you're all making me feel like a real slacker! 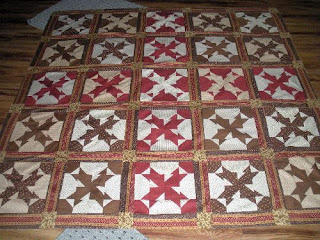 Heather's first two quilts are both made using directions in Pat Spaeth's book, Nickle Quilts. 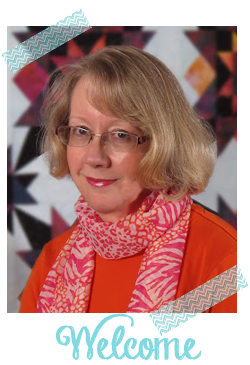 I urge you to go to Heather's blog, Peachy Pages, for details on "Labor Day Madness." 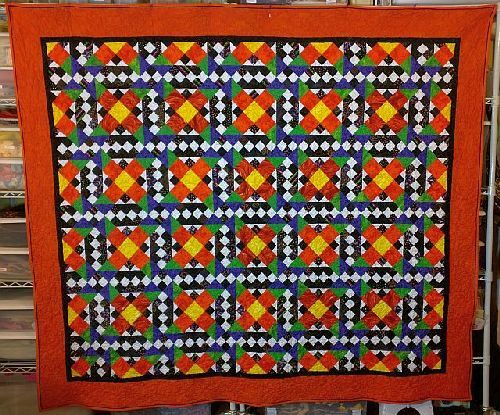 Would you believe this quilt is made at the same time? 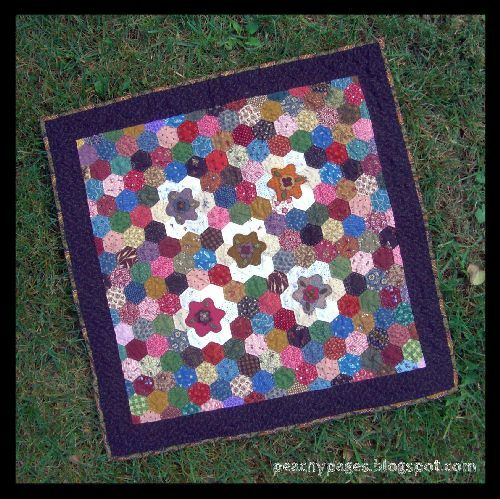 Heather persuaded a friend to make the same quilt, using different fabrics. 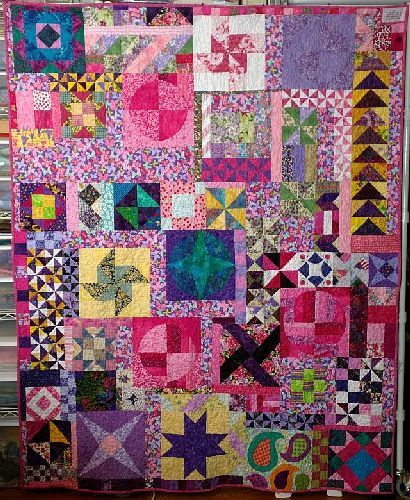 Then they swapped the duplicate/reverse blocks to have a completely different quilt, "Pinwheel!" Elizabeth's Prairie Garden is part of the Prairie Women's Sewing Circle. 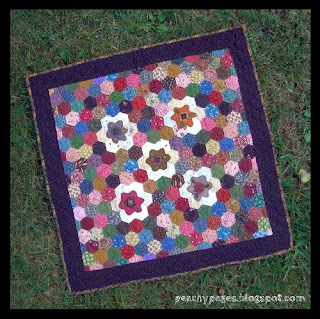 That's a lot of hexies, Heather! Sixteen finishes is darned impressive! Looking back at my "2015 UFO Challenge" list, I see that I missed awarding a Parade prize a few times. So this month, there are four winners! Heather, Sandi, Kerry, and Sue -- please send me your mailing addresses. I have a prize for you! Only one more parade in 2015 -- let's get finishing! Wow you ladies make me look like a real underachiever! Such spectacular finishes this month, you've all excelled yourselves. Its taken me 4 days just to get to look at this post! Oh well, hope to do better in 2016! I know I am way behind commenting - nit that is an amazing effort by so many people. I think I've said it before but I really hope to get back on track next year.